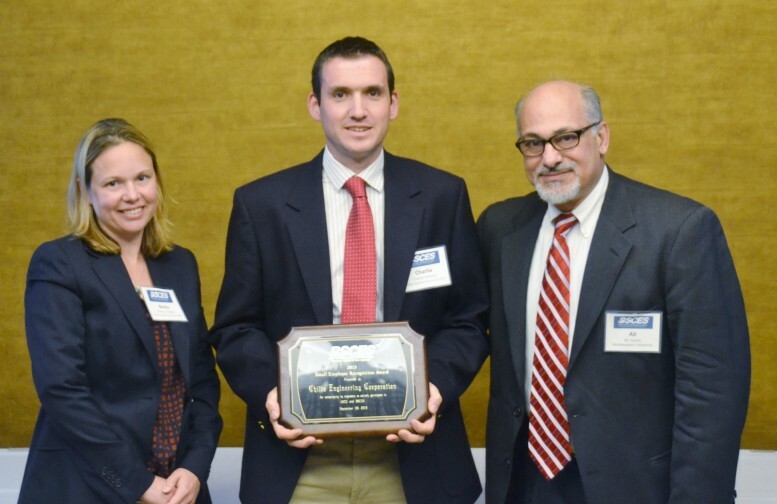 At the Boston Society of Civil Engineers Section 167th Annual Awards Dinner Rebecca Skalaski and Charlie Roberts received the 2015 Small Employer Recognition Award on behalf of Childs Engineering Corporation. Childs was presented with the award for encouraging its engineers to actively participate in ASCE and BSCES. In addition Childs was recognized for its long history with BSCES with both current president, David Porter, and past present and founder, Kenny Childs, both serving as past technical group chairs.